I have the song that was used in that old Popeye’s Chicken commercial, “What’s your flavor? Tell me, what’s your flavor?” going through my head right now. It might just be that I’m hungry or it might be that the amazing book birthdays I have to announce today are so diverse. A little something for everyone! My two cents: D.D. Barant has one of the most original voices going on in urban fantasy. But don’t take my word for it, take a look at one of the 36 reviews up on Barnes & Noble for his last book, BETTER OFF UNDEAD. 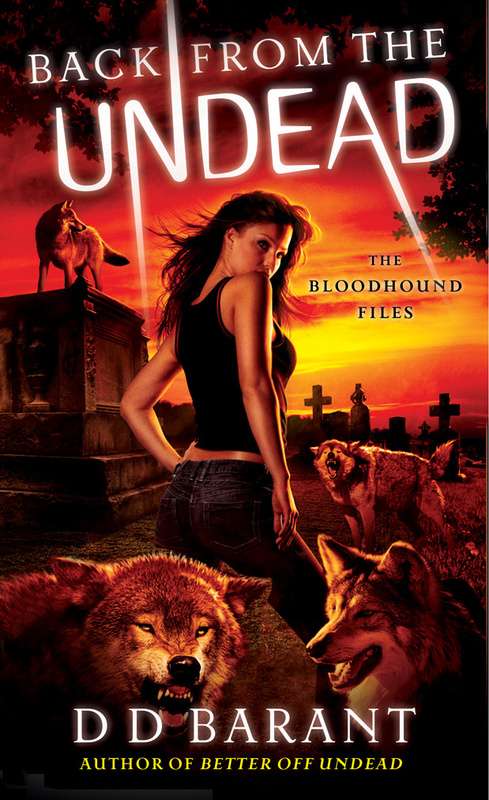 Or even more for his previous Bloodhound Files novels: DYING BITES, DEATH BLOWS and KILLING ROCKS. Another work day, another case for the Bloodhound Files. But this time, Jace is truly stumped: How is she, a mere human, supposed to penetrate the dark heart of a child-trafficking ring of pire orphans—one that turns out to be part of a blood-farm operation, in the crime-ridden border city of Vancouver, British Columbia? Jace is in over her head. But with the help of her former lover, Tanaka—whose family is one of the last samurai clans left in Japan—she stands a chance at seeking justice for the condemned children… Until the Yakuza tries to put an end to Jace’s investigation. Jace risks more than death—this time, it’s the fate of her very soul that’s in danger . . .
Vicky is a writer to watch. I promise, you won’t be disappointed! Already, she’s a triple RITA Award finalist for her novels HOW TO MARRY A DUKE (Best First Book and Best Regency Historical Romance) and HOW TO SEDUCE A SCOUNDREL (Regency Historical Romance). Her reviews are stellar, and she’s just plain fun! Okay, not plain fun. Fun with heart, handsome heroes, scandal and seduction…. Need I say more? When Will is caught in a tryst with the ton‘s shyest miss, he knows he must offer for her hand. Yet Amy is not the shrinking violet she seems to be. Passion lies beneath her prim exterior and Will is eager to release it. But winning Amy isn’t simply a matter of seduction; first, Will must convince her that he’s mended his wicked ways . . .
Also, for anyone who missed it, the new Knight Agency newsletter is out, with a contribution from me on self-promotion, agency news, our conference schedules and much, much more!